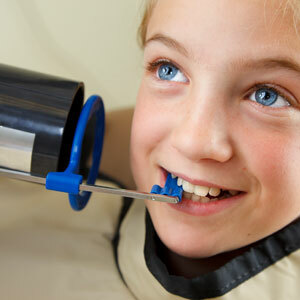 Modern dental care wouldn’t be the same without x-rays. Since dentists began capturing x-ray images a century ago to detect beginning tooth decay, billions of teeth have been preserved. “Catching it early” is the key to staying ahead of this aggressive bacterial infection. Once it breaks through the protective defenses of tooth enamel, it can advance toward the center of the tooth, the pulp, damaging dentin as it goes. While we can effectively stop it at this point with a root canal treatment, it’s better for the tooth’s long-term health to detect and treat any decay early on with a less-invasive filling or other treatment method. X-ray imaging helps make that possible, revealing decay much easier than we can see with the unaided eye. And while we can often detect decay in front teeth by visual examination or by using very bright lighting, that’s not as easy with the less accessible back teeth. For those teeth we use a special x-ray technique known as the bitewing. The name comes from the small frame used to hold the film. It’s held in place in the mouth by the patient biting down on small tabs or “wings” extending from the frame. The x-ray beam travels through the outer cheek and teeth to the film being held in the frame on the back side of the teeth. When exposed, we’ll be able to view the interior of these back teeth: a set of four bitewings gives us a full view of all the upper and lower molars and pre-molars on each side of the jaws. Like other forms of radiation energy, too much or too frequent exposures to x-rays can lead to serious health problems. But bitewing x-rays carry little risk to health. That’s because they fit well with the ALARA principle, meaning “As Low As Reasonably Achievable,” which helps guide our use of x-rays. Patients receive a fraction of the radiation exposure from routine bitewing x-rays than they receive annually from the natural environment. 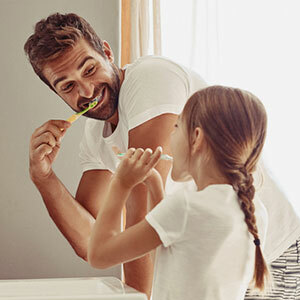 Without bitewing x-rays and other diagnostic methods, the chances are high that tooth decay or other dental problems can go undetected in their early stages. Using this important tool can help us head off major damage before it occurs.